WooCommerce UPS Shipping Plugin with Print Label comes packed with a ton of amazing features, and one of them is the parcel packing method. In this article we will tell you how to use this feature and how it can help you with your daily business. If you are running an online store, you might be familiar with the troubles of shipping. One of them is not being able to pack your products properly. With so many products, it is almost impossible to properly pack your products best possible way, so that it won’t cost you a fortune for shipping. Different products will have different dimensions and weight. Hence, it becomes very important to know how you can pack them without wasting unnecessary space. 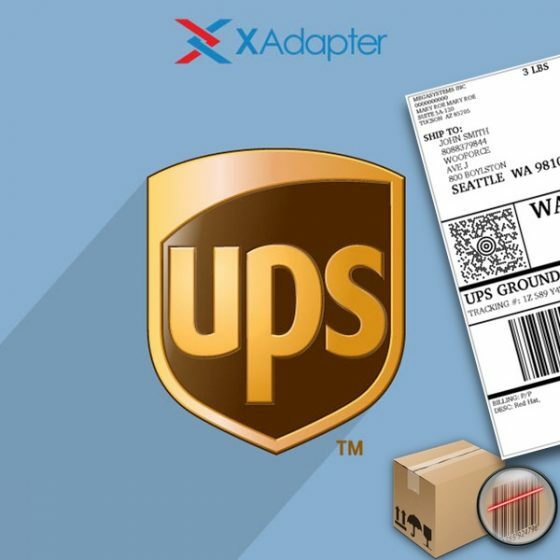 This article will cover one of the most amazing features of WooCommerce UPS Shipping plugin. Using the plugin, WooCommerce store owners can get an idea of how they can pack their products. WooCommerce UPS Shipping Plugin displays real-time shipping rates directly from UPS. These rates are based on the factors like package weight and dimensions, number of packages, and the distance between the source and destination. But most importantly, the plugin displays the content of each package to help store owners pack their products together. This way it becomes very easy to pack the products in the best possible way. Now, before getting into the details of how the plugin does that, first, let’s get an idea about the plugin itself. Now since you are well aware of the plugin and the features it provides, let us check out how it helps store owners pack their products, in a best possible way. As a WooCommerce store owner, once a customer places an order, you have to verify the order and create a package. The package will contain all the products purchased by the customer. However, packing the products properly in a box is where the problem occurs. WooCommerce UPS Shipping plugin easily calculates the shipping rates with the help of its advanced packing algorithms. However, once the plugin suggests the best way to pack the products, it is the store owners who have to try to pack the products in that same exact order. Let’s take a look at the image below. The image shows multiple packages generated by the plugin. In case of multiple products packed in multiple packages, packing can be very tedious and difficult. However, WooCommerce UPS Shipping plugin has a way out. As discussed, in the case of multiple packages containing multiple products, store owners can easily get confused about packing products into packages. There may be 2 different products with the same weight yet different dimensions. Or even all the dimensions can be the same except one. In such cases, it is very important to have an idea of which products are packed in which package and with which other products. The image below will give you an idea of what the plugin offers to help you pack your products easily. The above image clearly shows which products must be packed in which package. One of the most common things that confuse the store owners is how to pack the products when there are multiple products in an order. WooCommerce UPS Shipping plugin provides an easy way to display how you can pack your products. One can clearly say that the store owners can easily pack their products and ship it to the customers. Especially, when they know which products would be packed together in one box and which ones in another box. While shipping rates are calculated based on the factors like the number of packages, package weight and dimensions, and the destination address, packing your products can also help you decrease your shipping cost. For Example, the customers pay the shipping rates that are returned by the plugin. However, the plugin calculates rates based on the packages that it has generated based on the packing method selected in the plugin settings. In such a case, if while packing your products, the package weight does not match the one calculated by the plugin, it may increase the overall shipping cost. Using WooCommerce UPS Shipping plugin, the store owners do not need to figure out which product to pack in which package. It also shows if multiple products need to be packed together in the same package or in another package. It reduces the total time required to pack the products in their respective boxes, and hence, making the process of packing products much faster. This article covers one of the most common issues faced by WooCommerce store owners on a day to day basis. WooCommere UPS Shipping plugin allows store owners to generate multiple packages to pack the products. This way the store owners can pack their products and send them to the customers. However, the store owners find it difficult to identify which products must be packed in which package so as to keep the shipping cost the way it is. WooCommerce UPS Shipping plugin helps store owners by displaying the contents of the packages that it generates to get shipping rates from UPS. This way the store owners always know how exactly to pack their products in boxes.